JB Motorcycle Services offers MOT services for all makes and models of motorcycle. 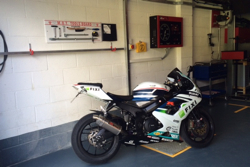 now tested on site John, the owner of JB Motorcycle Services is a qualified motorcycle MOT tester. Not only can JB Motorcycle Services MOT test your motorbike but we can also carry out a services or any repair you may need so why not book your bike in for it's next MOT and service at the same time? JB Motorcycle Services MOT test, repair and service most makes and models of motorcycle and prices are extremely competitive! At JB motorcycle services we have expanded In 2014 to now include a fully working class 1 & 2 MOT bay to keep your pride & joy on the road. Any items it might need for the MOT from brake pads to tyres can be fitted at the fully equipped workshop for the most competitive prices around. 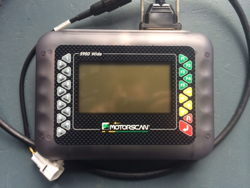 JB's can now offer full electronic diagnostics for most makes & model's from resetting your service light to checking fuel injection faults it's no problem with the motorscan computer.